The correct function of the human vestibular apparatus is essential for maintaining correct balance and posture. The elderly, or those suffering from vestibular deficiencies, often have a reduced sensitivity of the vestibular apparatus, increasing the risks of falling and having disrupted mobility. Currently, clinical test are performed on the basis of vesitbulo-ocular reactions, which do not fully characterize the vestibular apparatus. 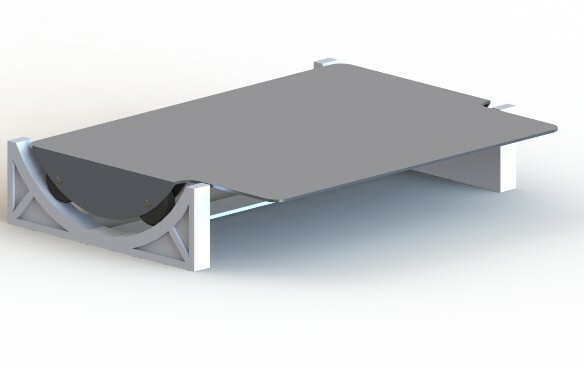 The NakDos from ASC is a new design which silently rotates around the patients ankles at various user defined speeds. This new device measures the vestibular systems performance and reaction more reliably and acquires valuable and accurate data about a patients postural and vestibular state. The device obtains higher quantitative accuracy which can better describe the state of the human vestibular system.